A Safer Option than Online Lenders. We know that business owners can get in a pinch financially and feel they need to resort to online lenders for fast cash. Many of these online lenders, such as a Merchant Cash Advance (MCA), offer quick funding with little paperwork, but this decision can have long term effects on your finances. These online lending structures may be based on your business’s future sales, making it a higher risk funding option with a greater liability on your balance sheet. Many of these online options also have very high interest rates, forcing you into a longer payoff period. We provide a safer financing option. SouthStar Capital provides a safer alternative to online lenders, through Asset Based Financing. Rather than looking to future sales, like Merchant Cash Advances, or to past performance, like banks, we provide working capital solutions based on your assets, such as accounts receivable, purchase orders, contracts, and equipment. By advancing against your assets, we are able to a provide a more responsible and reliable financing option, without adding debt to your balance sheet. We are also a fast source of funding, with same day approval, closing in 2-5 days, and 24 hour funding. Unlike online lenders, the financing we provide doesn’t just put a band-aid on the problem. We have a dedicated account team to work with you in structuring the best solution for your business’s current and future growth. Our goal is to provide the resources and support needed to grow your business to a stable and healthy financial position. Is Purchase Order Financing Right for You? Do you have a purchase order from a quality company? Are you in startup mode? If so, do you have a perfected prototype of your product? Do you have a 3rd party manufacturing facility set up? Have you been turned down by a bank for financing? Do you have orders that you could fulfill if you could afford to have the products made and shipped? Do you have weak company financials? Do you have personal credit issues? Do you have the potential to rapidly grow your business if you had capital for your product? Does your business rely heavily on inventory, requiring large capital expenditures to fulfill orders? Do you want to retain equity in your company and not give it up to a potential capital partner? Do you want a third party to manage and oversee the manufacturing, shipping, and final delivery of your product? Do you want to concentrate on selling your product and not managing the supply chain process? Do you want a third party to collect payment after your product has arrived at your customer? 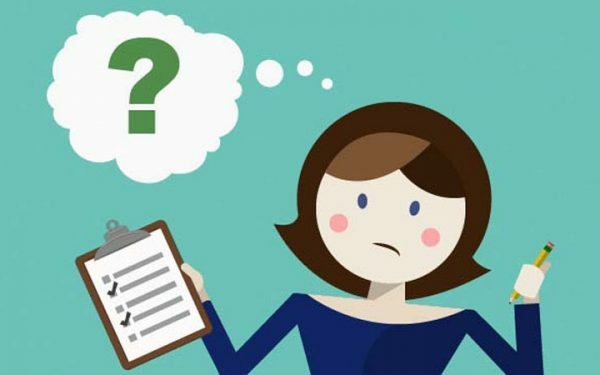 If the answer to one or more of the above questions is YES, then you are definitely a candidate for Purchase Order Financing. 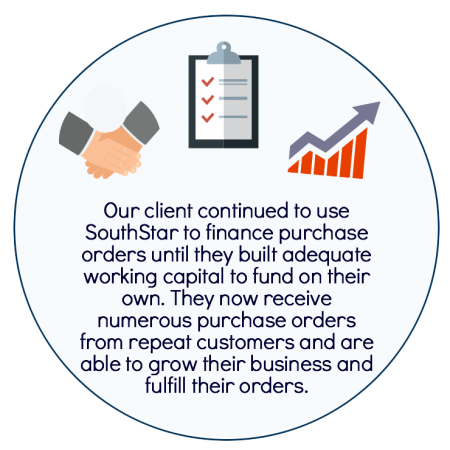 Learn more about Purchase Order Financing with SouthStar Capital! SouthStar Capital specialized in providing custom funding solutions to businesses in need of working capital. Here is just one of the funding solutions we provided in the month of May. Contact us today for a brief conversation to learn more about SouthStar Capital’s products and how we can customize a solution for you business’s capital needs. 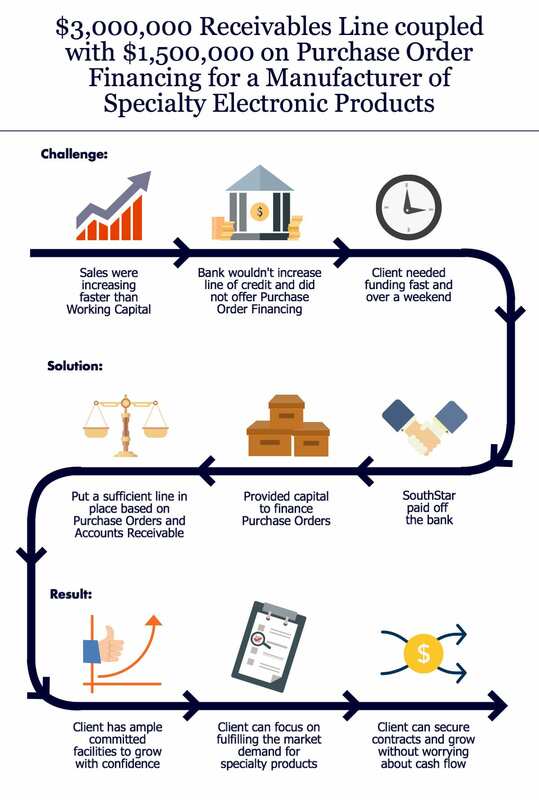 Below illustrates one of the working capital solutions we recently provided through Purchase Order Financing. Contact SouthStar today to learn more about the benefits of Purchase Order Financing. At SouthStar Capital, we are dedicated to structuring a financing package that benefits your company today and in the future. SouthStar can tailor fit a financing solution involving Purchase Order Financing and many of our other products. First, you obtain a Purchase Order from a quality company that has agreed to accept your product or service. Once the Purchase Order is received, you send it over to SouthStar. SouthStar will then perform due diligence on your customer to ensure they are credit worthy and have a history of paying once the product is received. SouthStar will also confirm that the Purchase Order is valid and will be accepted once it arrives. Once the Purchase Order is verified, SouthStar will advance money to the third party manufacturer to cover the cost of the goods and labor it takes to make the products for the Purchase Order. This can be one manufacturer or a combination of manufacturers and a company that assembles the final product. Once the product is completed SouthStar will handle the shipping, customs clearance (if necessary), and final arrival of the product at a third party storage facility or your customer’s dock. After the product arrives at your customer’s dock, an invoice is sent to your customer and SouthStar. SouthStar will then employ its Accounts Receivable Financing branch and advance more on the invoice to bring the total advanced to between 70 and 90 percent of the original Purchase Order amount. Your client pays SouthStar the full amount of the invoice, then SouthStar retains a small fee and remits the balance back to your company. 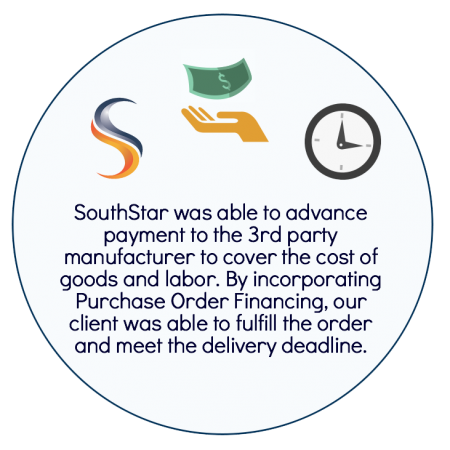 Contact us to learn more about Purchase Order Financing and how working with SouthStar can benefit your business today and in the future! With the tightening of business credit, companies are struggling to make ends meet amid a backdrop of uncertainty. Companies are taking longer to pay invoices and the effects are reverberating throughout the global economy. Banks raise interest rates and businesses are left to deal with the consequences. However, there are credit alternatives that allow companies to assume a more hands-on approach to financing their business. They include asset-based lending practices and the most common ABL financing vehicles are purchase order financing, and accounts receivables factoring. 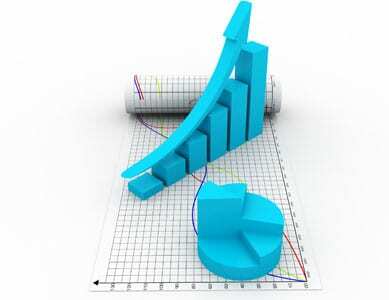 Both options empower businesses to take charge of their capital requirements and are a much more viable financing option when compared to the exorbitant interest rates on business credit lines and bank loans. The principle behind purchase order financing is to provide businesses with the working capital to purchase the raw materials and parts to complete existing customer purchase orders. Companies can use the value of their order as a form of collateral in order to secure the working capital so vital to their business needs. Financing companies will essentially purchase the order itself, provide the company with the necessary funds, and then proceed to collect on the invoice. The benefit is access to immediate funds and the flexibility of better cash flow management. In addition, purchase order financing allows companies to pursue any business opportunity, regardless of its scope. Receivables factoring includes taking an open customer invoice and using it to secure financing. 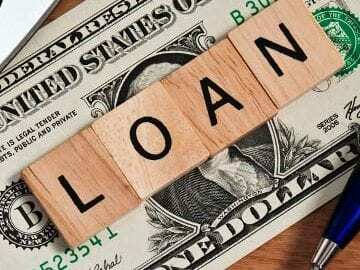 In this case, the decision to lend money is based on the age of the invoice and the credit worthiness of the customer. There are no credit checks on the company and no review of any financial statements. The onus is on the customer’s ability to pay the invoice. 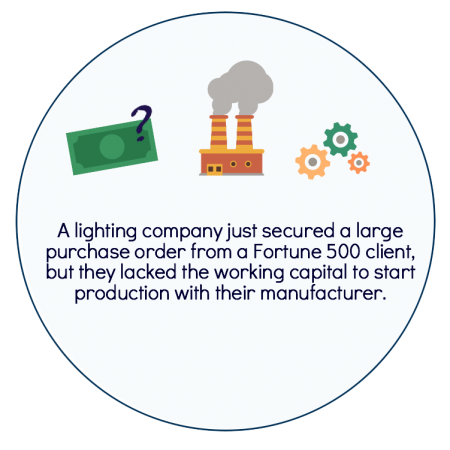 Companies get immediate working capital, while the financing company collects on the invoice. In a sense, receivables factoring can be viewed as outsourcing accounts receivable collection. Once the customer pays the full amount, the company is reimbursed the difference and the financing company charges a small fee. Today’s businesses must take charge of their finances. Banks and conventional lending methods are tied into the ups and downs of credit markets and the swings in business cycles. To avert a sudden lack of credit, companies must be proactive in securing their own financing needs. Small business owners know that having issues with cash flow, while trying to fulfill existing customer orders, is never an easy endeavor. The customer is impressed and wants product, but the small business lacks the funds to not only purchase the raw materials, but to pay for the work needed to complete the customer’s order. Because of their uneven cash flow the small business is left with a large customer order they can’t even start! Is there a solution to such a problem? In fact, there is. It comes in the form of purchase order financing. So, what is purchase order financing, how does it help small businesses with financing. 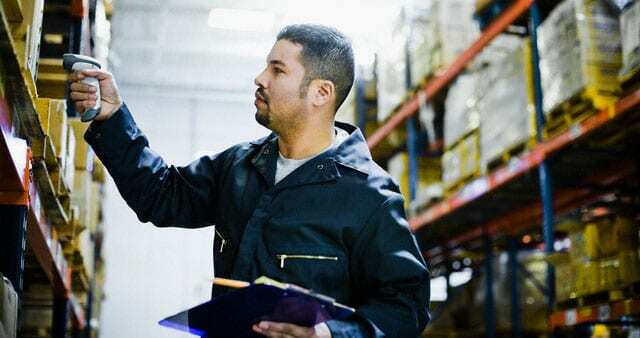 Purchase order financing occurs when a financing company extends working capital to small businesses, allowing them to purchase the raw materials and parts needed to fulfill a given customer order. Once the order is completed and shipped, the financing company is then reimbursed and the small business is then charged a fee for the financing company’s services. Purchase order financing is a variation of receivables factoring. However, instead of the financing company allowing the company to draw upon the receivables value, the financing company provides up-front cash to the small business based on the value of their customer’s purchase order. This allows the small business to fulfill the customer’s order while freeing up cash reserves. In a number of cases, purchase order financing is the single best financing option when compared to other conventional lending methods. Given the current state of the economy and tightening of global credit markets, a number of small businesses have had their credit lines slashed. In many cases, these businesses have excellent bottom lines and are in good financial standing. Purchase order financing not only allows small businesses to finance their existing purchase order, it also provides them with immediate cash. This allows the small business to benefit from prompt payment initiatives and discounts with their own vendors and creditors by paying them faster for those aforementioned parts and materials. This is a much better situation for the small business. Otherwise, it would be late in paying its vendors and creditors because of having to finance their own customer’s receivables for 30 days and beyond. This would negatively affect their credit rating.